They wanted to know who was that weird guy at the classroom door. He was chalk white, cadaverous and stoned. 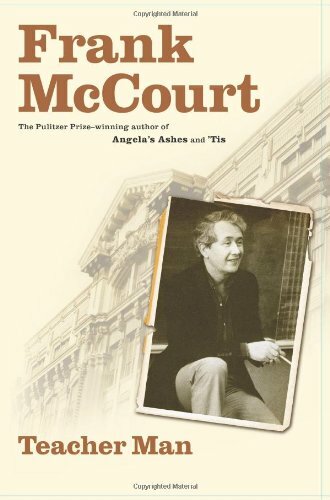 He could have called me Frank but Good afternoon, Mr. McCourt, showed respect for the teacher. I stepped into the hallway for one of our brief occasional conferences where he explained he happened to be in this neighborhood and was thinking about me and wondering how I was doing. Also, he happened to be caught short for the necessities and wondered if I might have any spare change about me. He appreciated past kindnesses and even though he saw little possibility of repayment he would always remember me warmly. It was such a pleasure to visit me here and to see the youth of America, these beautiful children, in such capable and generous hands. He said thanks and he might see me soon at Montero’s Bar in Brooklyn, a few blocks from his apartment. In a few minutes the ten dollars I slipped him would be passed to a Stuyvesant Square drug dealer. That’s Huncke, I told them. Pick up any history of recent American writing or the Beat Generation and in the index you’ll find Huncke, Herbert. Alcohol is not his habit but he’ll kindly allow you to buy him a drink at Montero’s. His voice is deep, gentle and musical. He never forgets his manners and you’d rarely think of him as Huncke the Junkie. He respects law and obeys none of it. He’s done jail time for pickpocketing, robbery, possession of drugs, selling drugs. He’s a hustler, a con man, a male prostitute, a charmer, a writer. He is given credit for coining the term Beat Generation. He uses people till he exhausts their patience and money and they tell him, Enough, Huncke. Out, out already. He understands and never carries grudges. It’s all the same to him. I know he’s using me, but he knew everyone in the Beat movement and I like listening to him talk about Burroughs, Corso, Kerouac, Allen Ginsberg. R’lene Dahlberg told me that Ginsberg once compared Huncke to St. Francis of Assisi. Yes, he’s a criminal, an outlaw, but he steals only to sustain his drug habit and makes no profit out of his activities. Also, he’s sensitive about what he takes. He will never take a piece of jewelry that looks like an heirloom. He knows if he leaves one thing a victim cherishes it will generate all kinds of good will and ease the pain of losing the other stuff. That will also bring him good luck. He confesses to every crime but murder, even tried suicide in R’lene’s house in Majorca. Giving him the occasional ten dollars brings a kind of guarantee he won’t break into my apartment though he tells me he’s a bit over the hill for second–story work these days and usually has to hire a helper if he hears of good pickings. There’s no shortage of willing boys on the Lower East Side. No more climbing fire escapes and rain pipes for Herbert Huncke. There are other ways of penetrating the fastnesses of the affluent, he says. You won’t believe how many queer doormen and maintenance workers there are on Park and Fifth. If I made the right deals, arrangements for this body to meet that body, they’d wave me in and I could practically take a nap in some of those apartments. In the old days, when I was young, I’d peddle myself and I did very nicely, thank you. I was surprised once by this big insurance executive and ready to face a year in jail but he called down the hall to his wife, who brought martinis, and we all wound up in the bed in a beautiful ménage. Oh, those were the days. We weren’t gay then, just queer.